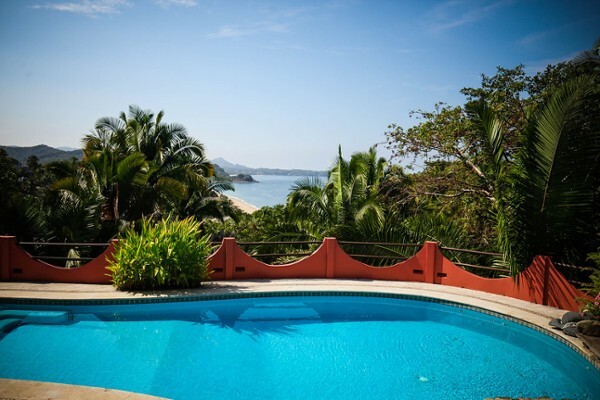 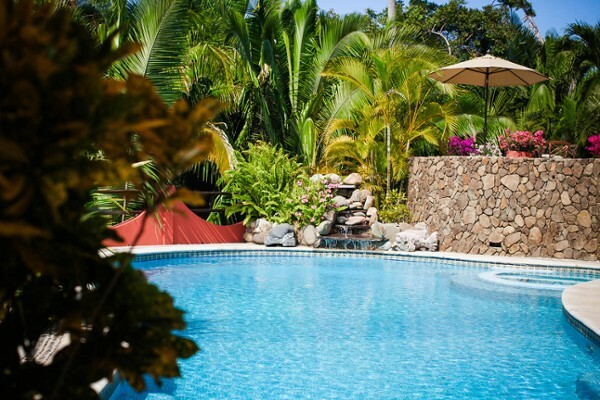 Casa Lomita Lynda is a sprawling estate perched on an easily accessible hill with 180 degree views of the entire Sayulita coast, San Pancho beach and an infinite Northern view of the great Pacific. 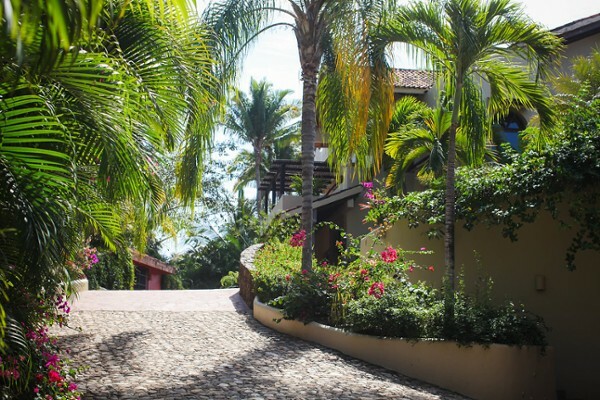 A quiet calm settles over as one relaxes under the shaded balconies gazing at the riviera with blooming bougainvillea in the foreground. 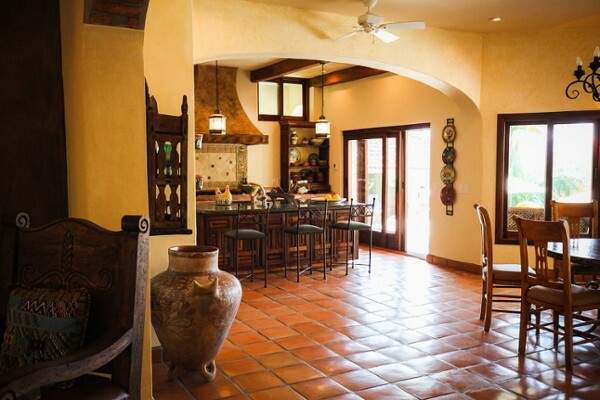 With an open kitchen, dining, and family room, open doors to the ocean and pool view patio, a full kitchen with large pantry and breakfast bar, outdoor poolside barbecue, kitchen, and outdoor shower, there is not one detail left untouched. 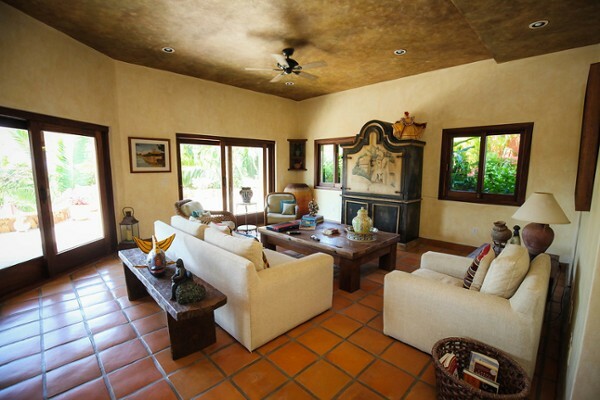 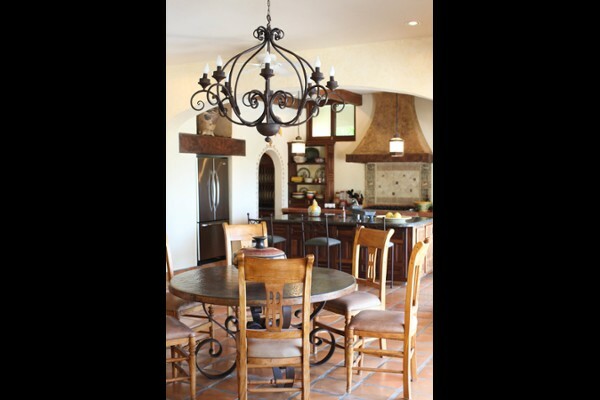 The second level has two large, vaulted ceiling bedrooms with ample custom wood built-in storage, private balconies, ocean views and expansive bathrooms brimming with ornate Mexican tile and thoughtful lighting. 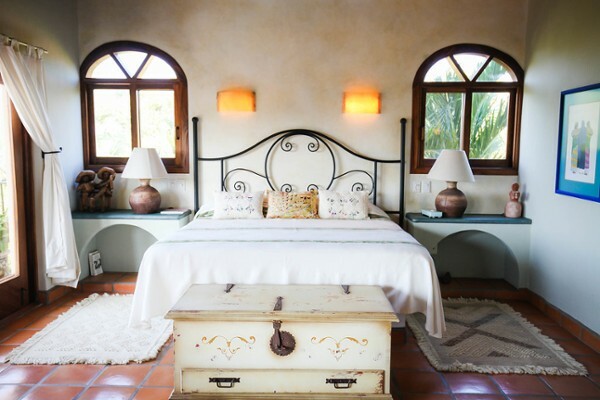 The guest house is a few barefoot steps through a blooming garden with its own private pool, a vaulted ceiling large one-bedroom studio space with joining bathroom and laundry room all situated over the two car garage.